Anmol Bakers is getting itself into shape as the baked food products market sags. 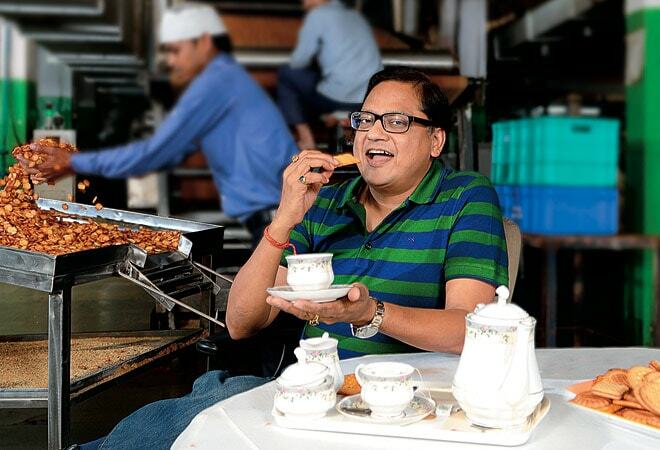 During its 13-year existence, Anmol Bakers has seen several ups and downs. Before setting up a plant in Greater Noida, Uttar Pradesh, Gobind Ram Choudhary, its Managing Director, was running a bakery business in Kolkata with his father and three brothers. Shifting to the north, however, proved to be quite challenging as the company faced many challenges. First, the business skills that Choudhary learnt in Kolkata were of no help due to the different nature of the two markets. For instance, the attrition rates are much higher in the north. Also, the company's demand for staff was three times more than in Kolkata. Then, the consumption patterns of biscuits were different and so the competencies required for sales, marketing and distribution functions varied between the two regions. Furthermore, both markets are different in terms of product preferences. In the east, the per capita annual consumption of biscuits was almost double that of the north's five kilogram. So, for the first four years, Anmol Bakers grew at around 25 per cent but in the following years, the growth began to taper off. As a result, the company turned its focus on reducing production costs to protect profit margins. Initially, Choudhary hired consultants to fix the problems that existed in the sourcing and inventory management. But it didn't work. Later, he himself started looking for solutions. "We shifted to a lean manufacturing process," says Choudhary. Anmol changed its raw material sourcing methods. Take the sourcing of milk powder, for instance. About five years ago, the company would order 10 tonnes of milk powder every fortnight. This was changed to five tonnes a week, thereby reducing the working capital requirement and also the overall interest cost that Anmol would bear on bank loans. "Historically, we used to follow this practice of placing large orders assuming that buying in bulk was cost effective for us. But when I analysed, I could see no benefit in it," added Choudhary. His next target was to rework inventory management systems for finished products. Earlier, the company's sales team would make predictions about demand and production planning was done accordingly. This resulted in retailers getting products with a time lag. Today, Anmol maintains a minimum stock level at all its warehouses. "We used to store finished products worth about Rs 8 crore at our warehouses. This has been brought down to Rs 5 crore now. We were able to free up capital that was stuck in our warehouses," revealed Choudhary. In addition, the retailers get fresh products and the amount of wastage has been reduced. "We cannot predict sales. None of our products at the retailers' level would be older than two months as against four months before," says Choudhary, who spends his free time attending management classes or reading related books. Harminder Sahni, Founder and Managing Director of Wazir Advisors, says the biscuits market in India is broadly divided into three segments. ITC and Britannia, which focus on product innovation, are at the top end. Parle operates in the middle. and Priyagold and Anmol are at the bottom end with emphasis on volume-driven growth. "They don't spend as much on marketing and branding and have healthy profit margins," says Sahni. Anmol's target market stands at Rs 20,000 crore, as per market research firm Nielsen. The market didn't grow in 2013/14, but Anmol grew 16.7 per cent to post revenues of Rs 350 crore.